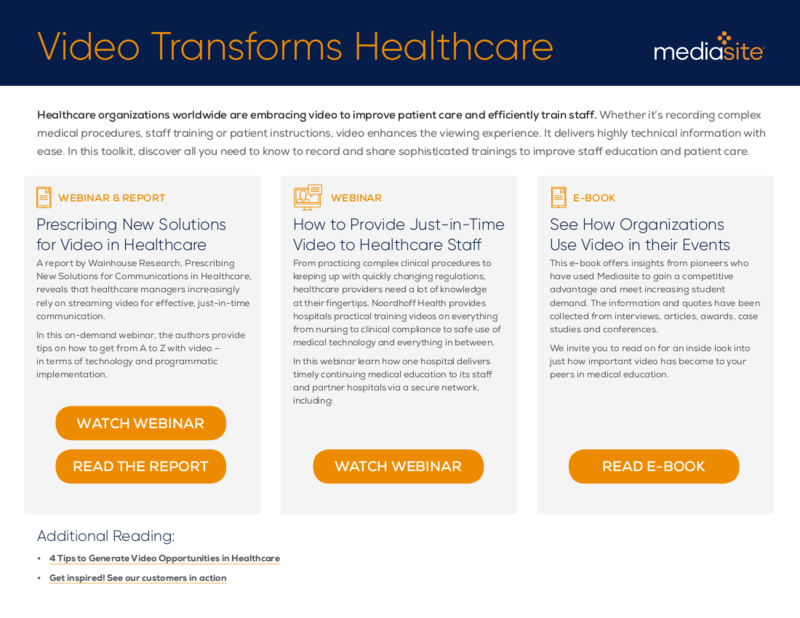 Healthcare organizations worldwide are embracing video to improve patient care and efficiently train staff. Whether it’s recording complex medical procedures, staff training or patient instructions, video visually enhances the viewing experience, delivering highly technical information with ease. In this toolkit, discover all you need to know to record and deliver sophisticated training to improve staff education and patient care. Thank you for your interest in the toolkit! Click below to get your copy.